July, 1969. Three US astronauts road the biggest rocket man had ever made to the moon and pride to be an American has never been greater. This was greater than Columbus setting foot on San Salvador in the "New World". Greater than the discovery of electricity or even the wheel. Humans became EXTRA TERRESTRIAL. We were ET. 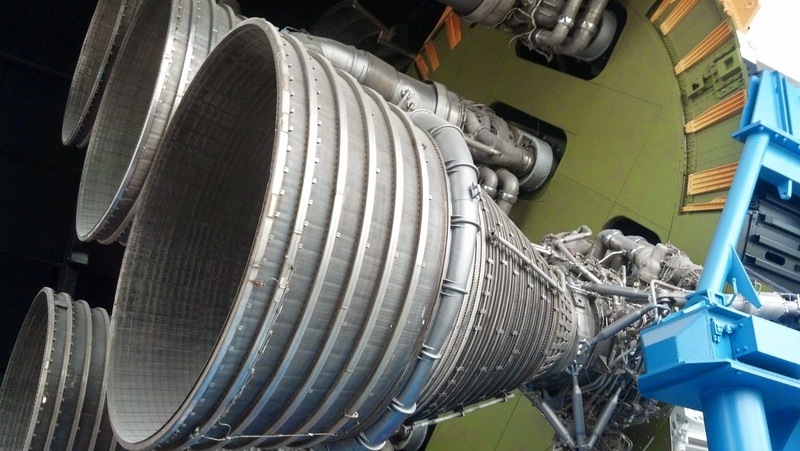 I backed up as far as I could to get as much of the Saturn V engines in the picture. The immensity of the rocket that sent men to the moon is breath taking! Some day we may again go back to the moon. 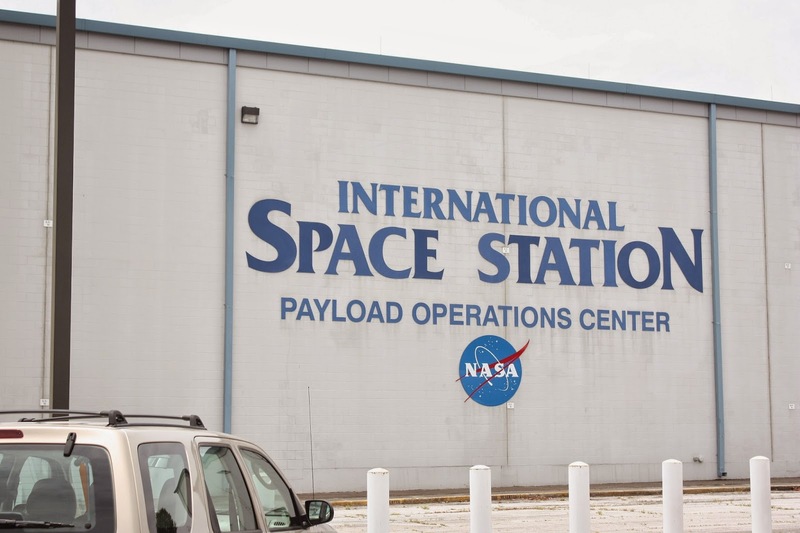 They are working on that very adventure now at the US Space Center in Huntsville, Alabama among other places around the world. 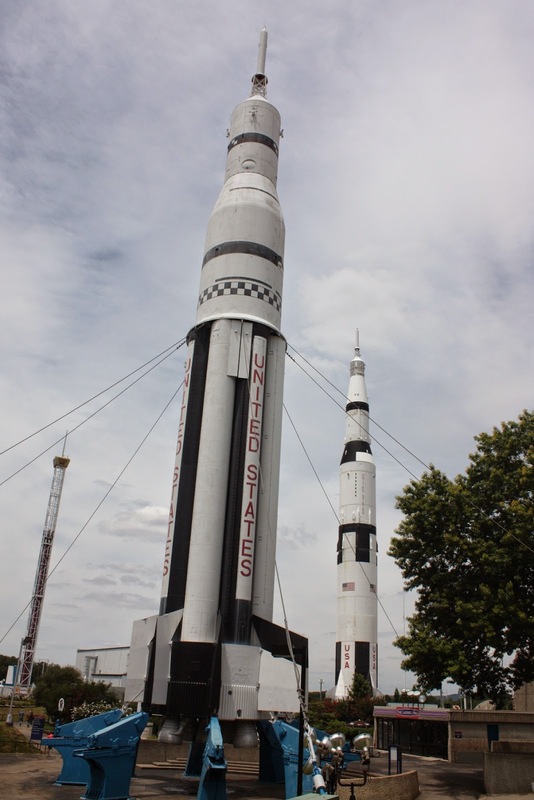 For two kids who grew up while all this history was taking place, we were reminded of it all again this week as we toured the US Space and Rocket Center, located at One Tranquility Base, Huntsville, Alabama and looked at each other and said out loud together, "We are having too much fun!". 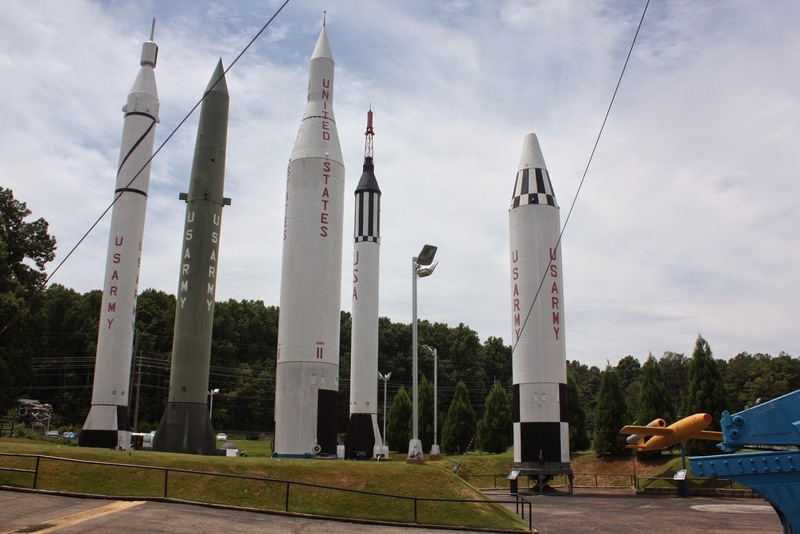 The huge museum complex is on the Huntsville city side of the large Redstone Arsenal and Rocket Test Center. Here the captured World War II German rocket scientists gave birth to human kind's greatest adventure. 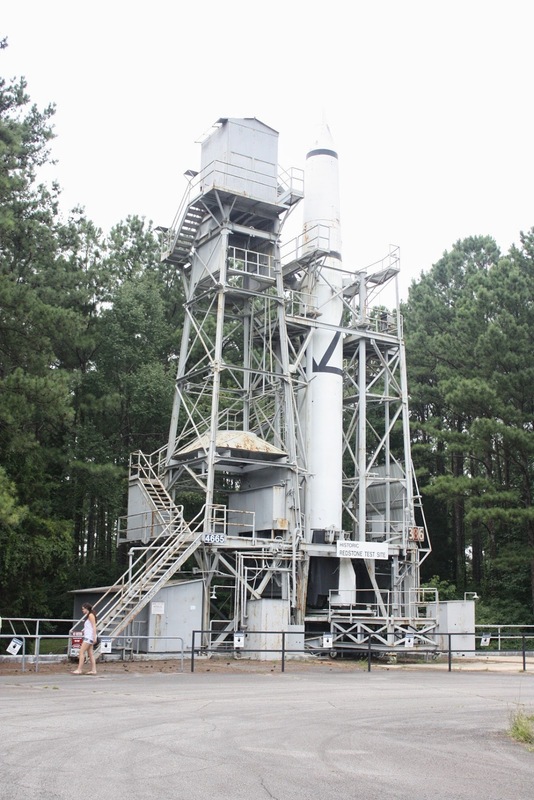 This is the original test stand that was put together with "borrowed" parts that Dr. Warner Von Braun tested the original Redstone rocket. This the one everyone has seen in film clips and caused the citizens of Huntsville to replace some window panes. It is now a national historic sight. The trees were not there when it was active. Knowing that what we were viewing was "historic" put my life into a perspective I had not experienced before and, yes, I felt old but proud again.